Flamenco 2 ~ This is a dance class for new and existing members with a good basic experience of Flamenco dance. Vacancies ~ I am sorry the class is full this year. 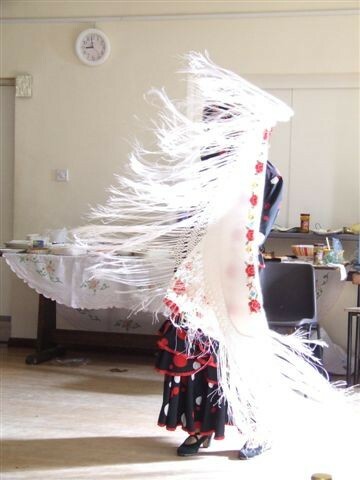 Flamenco 2 is an improvers class for experienced members who have previously attended the beginners class, the aim is to expand on prior knowledge, introduce new movements and more complex choreography in a relaxed, sociable and fun way. The 2018/19 year will begin on September 10th when our members will refine and perfect last years 2 dances before moving onto something new. The new challenge will be a Tangos, a feisty gypsy dance with attitude. I hope our members enjoy the class. I am looking forward to welcoming everyone back for another year of dance.